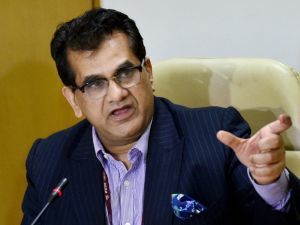 India worked in close partnership with the World Bank to improve its position, says NITI Aayog CEO Amitabh Kant, bottom, left. He tells Dilasha Seth that instead of criticising the ranking method, the government decided to carry out critical structural reforms and ranked states. You played a key role in the government’s drive in making India an easier place to do business. With India climbing into the top 100 of World Bank’s ease of doing business rankings, how do you look back at the efforts that went in over the past three years? Prime Minister Narendra Modi was very clear right from the first meeting we had with him that doing business in India must become very simply and easy. 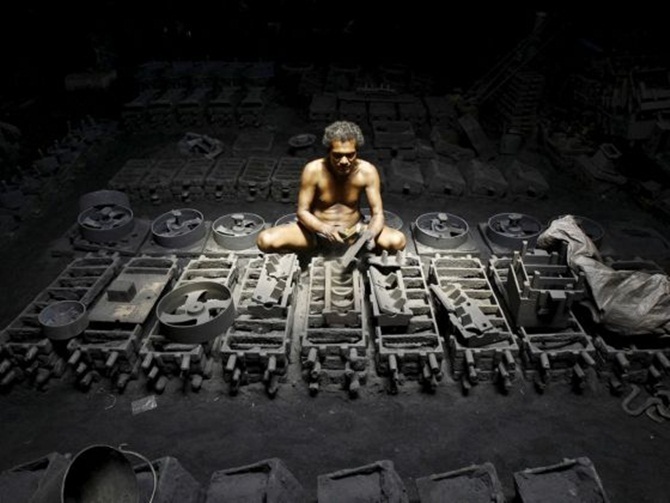 He pointed out that India was a very complex place to carry out business and that needed to change. As we see today, India has improved its ranking in 6 out of 10 indicators. But in distance to frontier, it has improved in 9 out of 10 indicators. This shows that India’s reforms are contributing to closing the gap with the best in the world in almost all indicators. In fact, India ranks in the top 30 in protecting minority investors, getting credit and getting electricity. We made an all-round progress. But not too long ago the government was severely critical of the World Bank (WB)’s methodology of the Doing Business rankings. In fact, you had said the rankings are flawed as it uses inputs only from Delhi and Mumbai. So what has really changed now? We just took it as a challenge. There is no point complaining that the World Bank covers only Delhi and Mumbai. We just accepted their methodology and within that methodology, we tried our best to move forward. We tried to create competition among states. So instead of being critical, we decided that we must change. We became a partner and pushed for change ourselves. Did you share your criticism about the methodology with the WB and what response did you receive? We have constantly told the WB our views and given them inputs. We have told them about the limitations of their exercise and they have always listened and tried to incorporate our suggestions. Do you think that helped? More than that, informing respondents about the implementation of reforms and the changes that have taken place is very important. In the World Bank’s scheme of things, respondents are very critical. So what you have implemented must actually get implemented on the ground and it takes about two years for the effect to be visible. A jump of 30 ranks is a quantum leap. It shows that what we have done is actually getting implemented. And what the prime minister had promised, of rolling the red carpet (to businesses), has actually happened. Are you still confident about India getting into the top 50? My personal view is that we should continue the reform momentum and in two years, try and be in the top 50. That is very doable if we push hard. For a large country that we are, what we have achieved is very unique and we should continue that momentum to be in the top 50. The government, in fact, partnered with the World Bank in carrying out state-wise rankings. Do you think that played a role in the improvement we see today? India has worked in close partnership with the World Bank to improve our position. In ease of doing business for states, WB does the analysis for us. We have been ranking, naming and shaming our own states. In the first year, Gujarat came number one; the next year, Telangana and Andhra Pradesh beat Gujarat. In fact, eastern states of Jharkhand and Chhattisgarh did very well. If the eastern part of the country does well, India does well. Do you attribute the partnership with the WB as a key factor in the sharp jump in the rankings, by making the multilateral body aware of the reforms implementation on the ground? No. The real reason is the real structural reforms undertaken by the government. Bankruptcy code, easier exit, the Goods and Services Tax, real estate regulation authority, push for digitisation and push for no human intervention across sectors, among others, have been the big reforms undertaken that were never envisaged or performed. What should be the road map to get into the top 50 rank? We can jump to the top 50 very quickly. We need to improve the enforcement of contracts, where our position is 164; construction permits, where we are at 181; registering property (154) and cross-border trade (146). These are the four key areas where we need to radically improve and must focus on them next year. We should also keep in mind that others are jumping forward, so we must too. What reforms do you recommend for the next year? In enforcement of contracts, courts should not give more than three adjournments. There should be establishment of commercial courts at district level, electronic record-handling and case filing. In trading across borders, India should push for 24-hour trade. In registering property, every document should be digitised. The NITI Aayog will assist departments looking into these reforms. The WB did not take into account demonetisation and transitional issues of the goods and services tax implementation in its report this time. Do you think the rankings would have been different had these events been taken into account? Image used only for representational purpose. Photograph: Reuters. How does Modi Sarkar rate with UPA1/2?